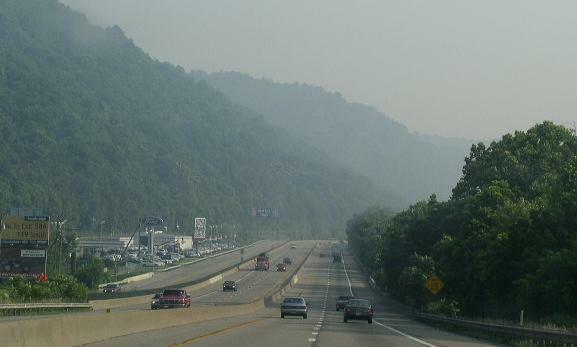 The West Virginia Turnpike is a north-south toll highway in Western West Virginia. This highway is 88 miles in lenght. It runs from Charleston to Princeton. 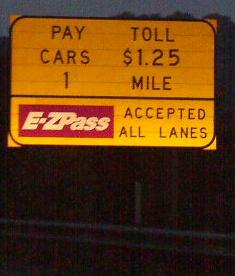 The turnpike has 3 main-line toll gates and one spur toll gate. 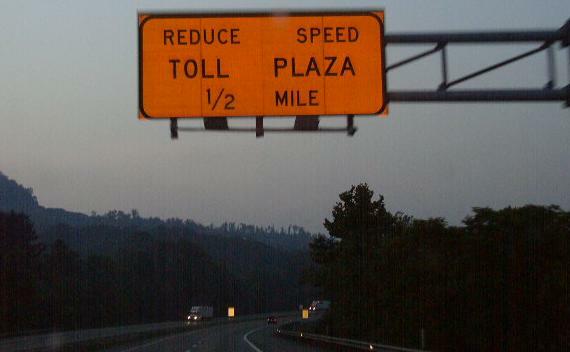 The West Virginia Turnpike passes through the following metro areas. 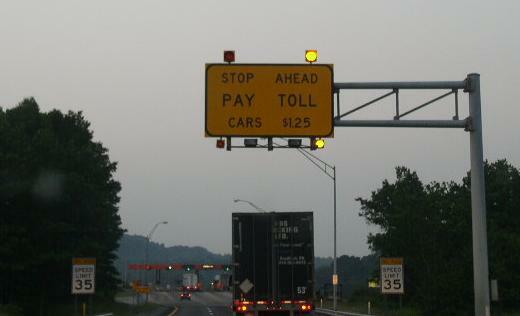 To help local motorist with everyday toll costs. 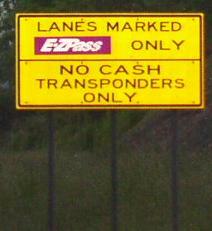 The West Virginia Turnpike offers the pre-paid toll system know as "E-ZPASS". 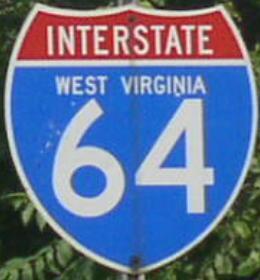 The West Virginia Turnpike crosses the following interstates. Interstate 64, at Charleston and Berkley. 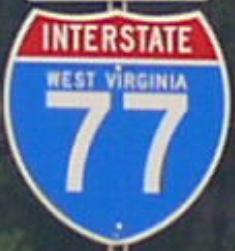 Interstate 77, at Charleston and Princeton. 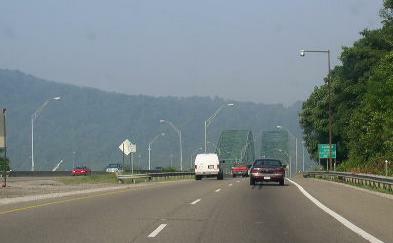 The Offical Web-Site of the West Virginia Turnpike. 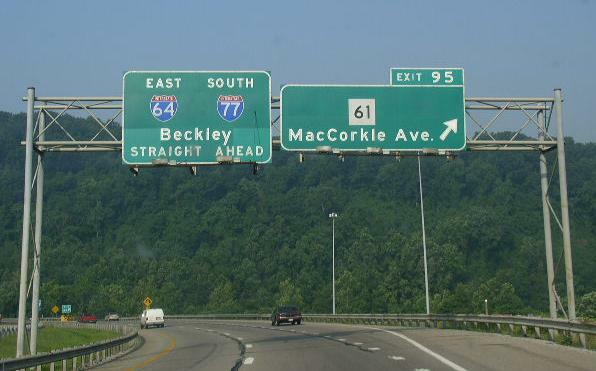 NB I-77 at Plaza A.
NB I-77 at Plaza B.
NB Turnpike near Cool Ridge. 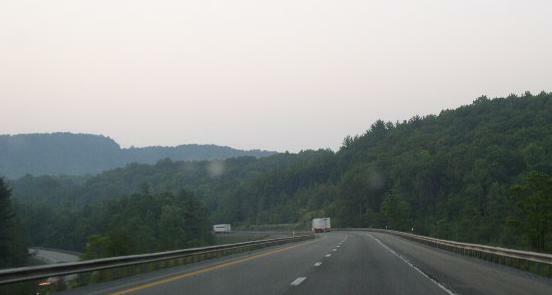 SB Turnpike at WV St Rt 61. 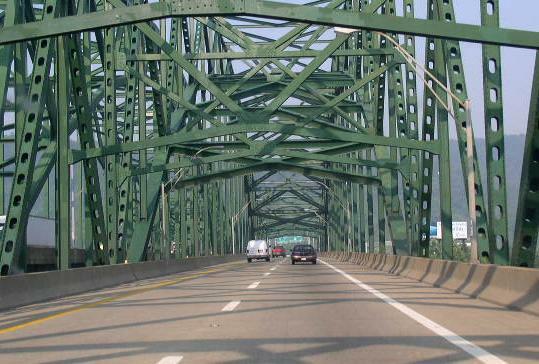 SB Turnpike starts at the Kanawha River. 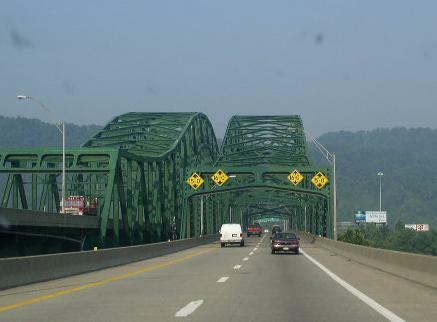 The turnpike crosses the Kanawha River on the Chuck Yeger Bridge. SB Turnpike crossing the Yeger Bridge. 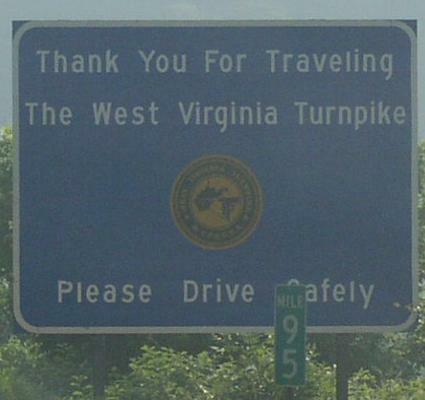 Thank you sign at the end of the turnpike.